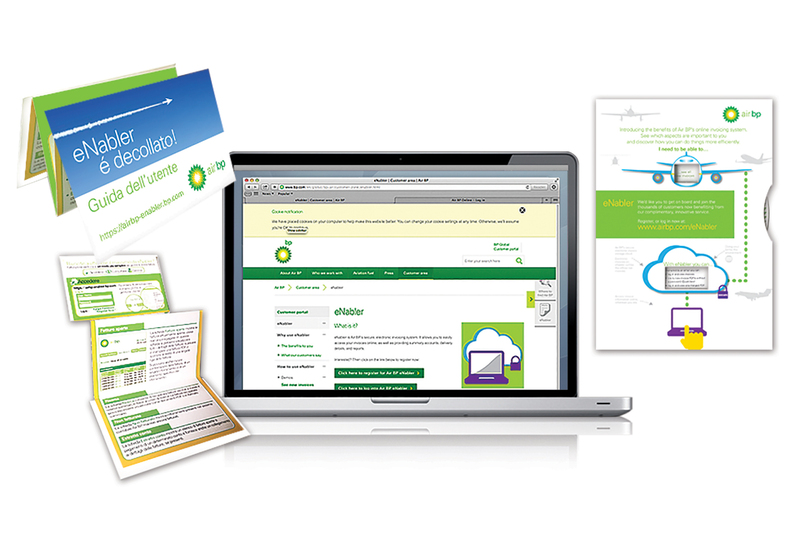 Air BP commissioned Beach to help communicate the features and benefits of their new online invoicing system and encourage customers to ‘switch off’ their paper invoices. These messages, as well as a countdown to paper invoice ‘switch off’, had to be communicated internally as well as to external customers and encourage sign up. Communication for the launch of eNabler was via a series of countdown e-shots. Interactive printed hand outs were created to match the customers needs with the solutions as well as a pocket user guide. A series of short demo videos were made available online and a series of eshots targeted at different customer groups were created to outline the benefits and encourage sign up.